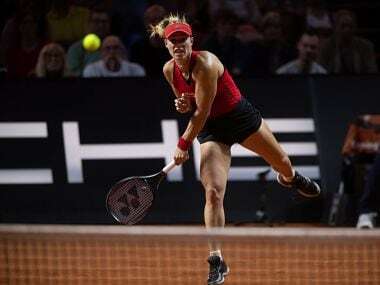 Stuttgart: Angelique Kerber earned quick revenge against Petra Kvitova with a 6-3, 6-2 defeat of the Czech in the Stuttgart Open first round on Wednesday. 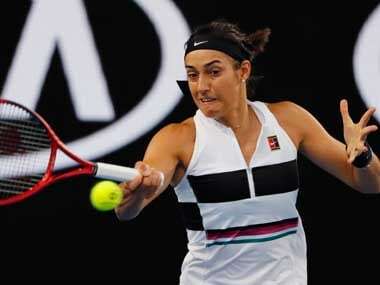 The German, a former World No 1 who is now ranked 12th, was all business against the two-time Wimbledon champion, preventing Kvitova from three straight victories in their head-to-head series. Kerber closed it out on her third match point after 77 minutes when Kvitova returned long. "I had goosebumps when I came out on court," said the German. "It was not an easy match after Sunday. "My team and I analysed it and we learned from that loss. I'm unbelievably happy to be in the second round. "I knew what to expect from Petra, I tried to play aggressive and control the match. I always need time to get my rhythm." 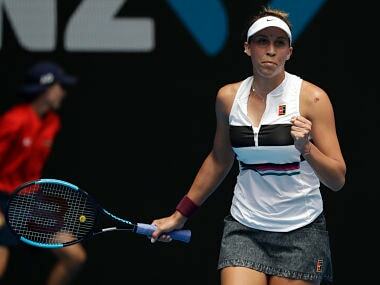 Kerber set up a match against Anett Kontaveit, the World No 31 who outlasted Kristina Mladenovic 5-7, 7-6 (3), 7-6 (5). The Estonian needed more than three hours to put out 2017 finalist Mladenovic, with the French player saving match points in the final-set tiebreaker. Between them, the women converted on 19 of 39 break points on offer, with Mladenovic sunk by 10 double-faults. CoCo Vandeweghe put aside her career-long dislike of clay to crush US Open champion Sloane Stephens 6-1, 6-0 with a 56-minute rout. 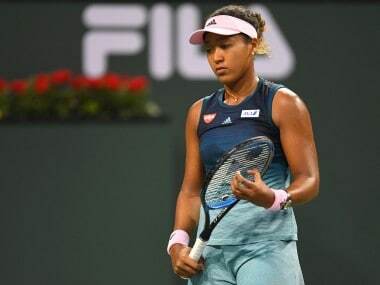 There was a similar fate for last year's New York runner-up, with Russian Anastasia Pavlyuchenkova eliminating American Madison Keys 7-6 (9/7), 5-7, 6-4. Vandeweghe and Stephens, who won the Miami title last month after a lacklustre six months following her Grand Slam triumph, had teamed up at the weekend to help the United States defeat France and reach the Fed Cup final. "I really don't like clay, it's my least favourite surface," Vandeweghe said after defeating the seventh seed. "I'll never like it. This is my second time in Germany — I'm not here for the clay, it's more the shopping. "I didn't come out here to play and lose." Vandeweghe broke six times in her victory and next faces defending champion Laura Siegemund of Germany in the second round. Vandeweghe increased her career record over Stephens to 4-1. In other first-round results, Russian qualifier Veronika Kudermetova surprised Spain's Carla Suarez Navarro 7-6 (5), 6-2 and Kazakhstan's Zarina Diyas downed Germany's Carina Witthoeft 6-3, 6-2.